Original Baby Plate ONLY 39.95! 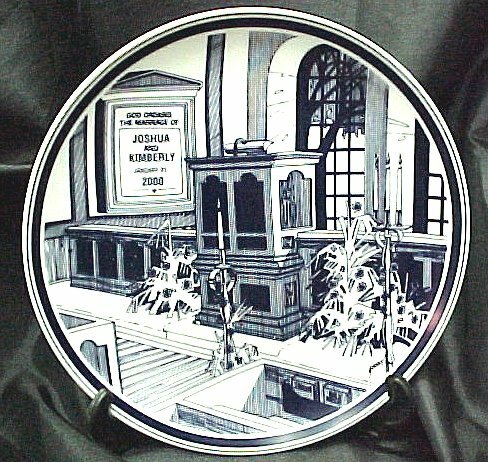 In 1975, the Keepsake Plate Series was introduced with this, the Original Baby Plate. This plate is personalized with the child's first name, birthplace, birth date, weight, and time of birth. New Baby Plate ONLY 39.95! 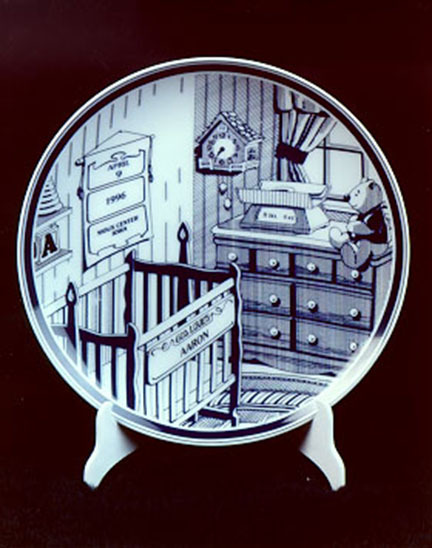 In 1993, the New Baby Plate was added to the Keepsake Plate Series. This plate offers new art design and adds the child's length and initials in addition to the original plate's personalization information. 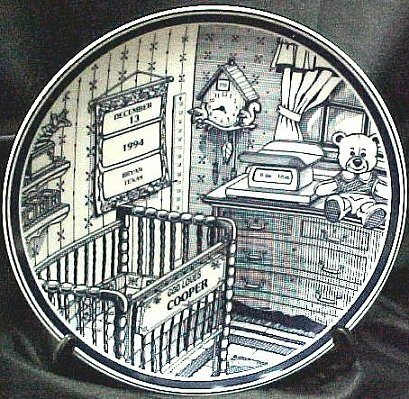 The teddy bear featured on the dresser in the nursery room is also different than the one on the Original Baby Plate. 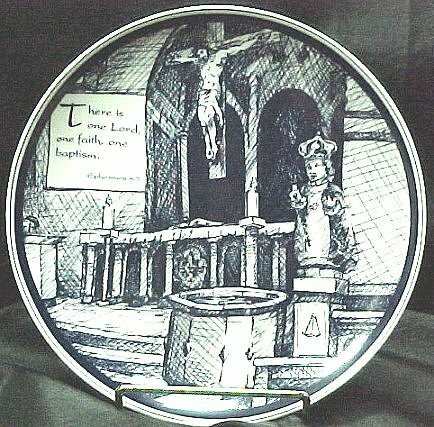 You can forever cherish this special moment in a child's life with the Baptismal Plate. You may choose the personalized version with the child's name and year of baptism or one with a printed verse which reads "There is one Lord, one faith, one baptism." They both make beautiful gifts the family will hold dear for many years. Milestone Wedding Anniversaries can be memorialized with this plate. 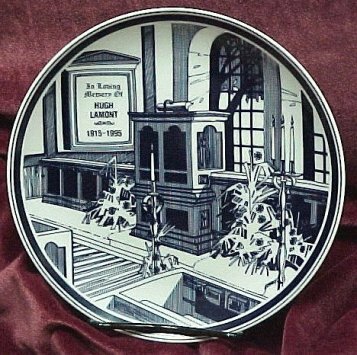 The Anniversary Plate is personalized with the couple's first names, city, state, anniversary date and the anniversary commemorated. This gift will be a family heirloom, cherished for years to come. Give this Keepsake Wedding Plate to honor a most joyful and memorable occasion. The plate is personalized with the first names of the bride and groom and the date of their wedding. Along with beauty and quality, these features will cause this gift to be treasured for years to come. 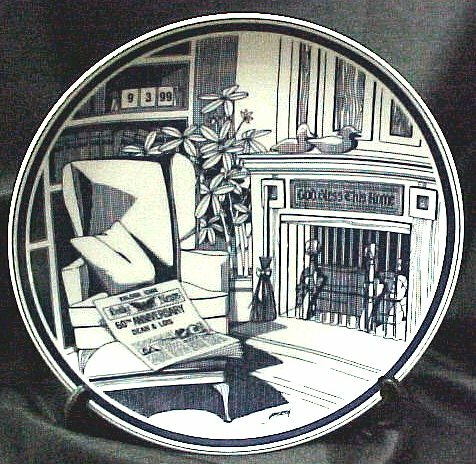 Celebrate the purchase of a new home with this commemorative plate. It is personalized with the date the home was purchased, the name of the person/couple buying the home, and the city in which they now live. And, as will all gifts purchased through Lasting Impressions, this plate will be treasured for years to come. 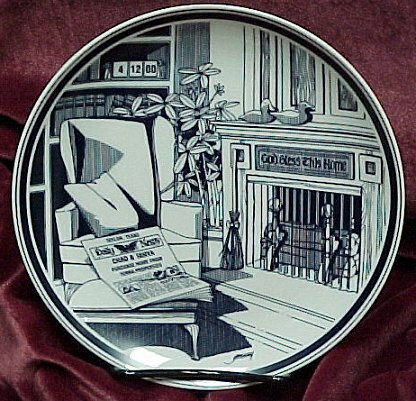 Give the Keepsake Memorial Plate to honor the memory of a loved one who has passed. This memorial plate is a tribute that will last for years. Personalized with the name, date of birth, and date of passing, this gift will be a family treasure for many future generations to cherish.